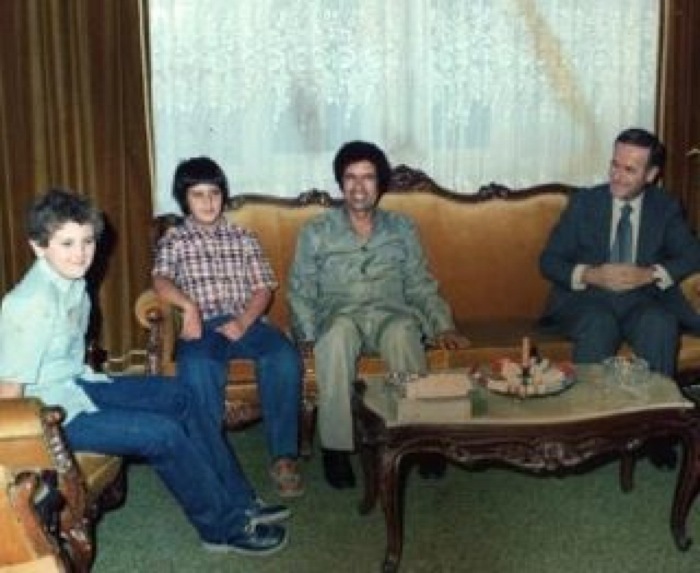 From left to right: Bashar al-Assad, Saif al-Islam al-Qaddafi (complete with hair), Mu’ammar al-Qaddafi, and Hafez al-Assad, getting ready to go out on the lawn and make some Smores. This entry was posted in Human Rights, Politics, Uncategorized and tagged Bashar al-Assad, Hafez al-Assad, Leave it to Beaver, Libya, Ozzie and Harriet, Qaddafi, Seif al-Islam, Syria by scottlong1980. Bookmark the permalink.